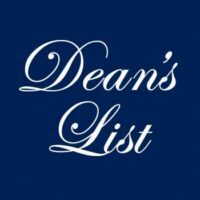 Susan L Sikorski, of Bayonne, made the Spring 2010 Dean’s List for the College of Arts and Sciences at Seton Hall University. Neal Karlo Tibayan, of Bayonne, made the Spring 2010 Dean’s List for the College of Arts and Sciences at Seton Hall University. Charles Bonaventura Costello, of Bayonne, made the Spring 2010 Dean’s List for the College of Arts and Sciences at Seton Hall University.